There’s been nothing much to say about The Last Free Cat lately. It’s been selling steadily, particularly the e-book, and collecting excellent reviews on Amazon and Goodreads (apart from a bizarre campaign against the book from people who were disappointed when I told them that the novel had nothing to do with the abortion issue). In real life, however, we got ourselves a worthy successor to Floozie, the inspiration for The Last Free Cat. Flora is a beautiful little part-Bengal tabby, a quite unique mixture of colours with a great temperament. She came on heat on Valentines Day and gave birth under our bed just after Easter. I’ve been closely observing her four fantastic kittens ever since, partly because their development is so fascinating, partly because they just might feature in a sequel if I ever decide to write it. 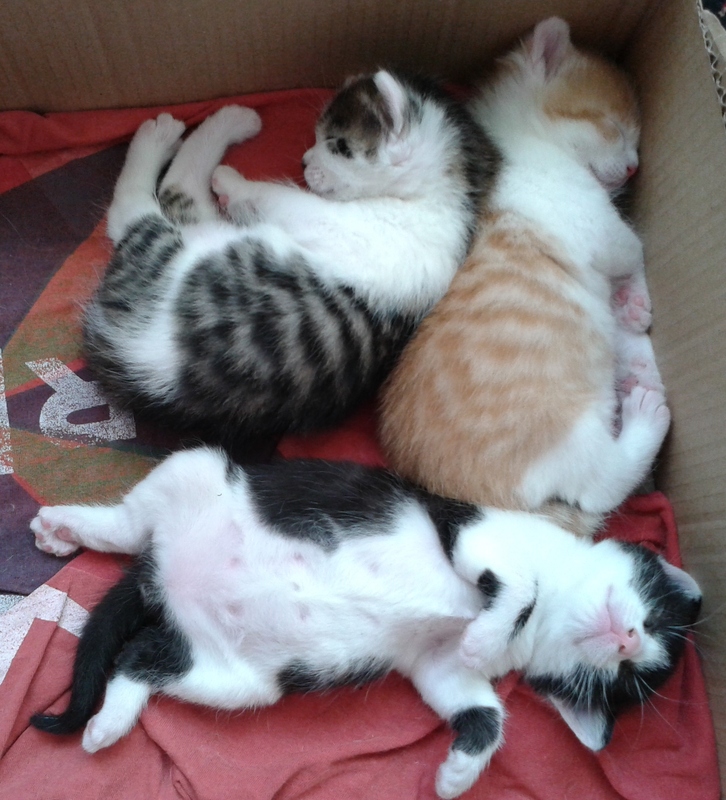 As you can see from the three here, they are the perfect antidote for anyone like me who does not find it easy to relax.